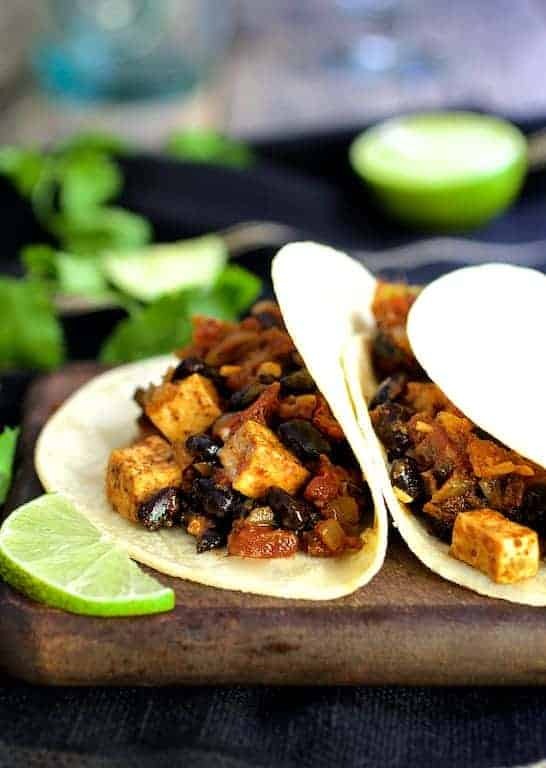 Tofu and Black Bean Tacos are easy and a healthful way to enjoy tacos. Even a diehard carnivore won’t miss the meat! For now, may I tell you about my delicious Tofu and Black Bean Tacos? Even a diehard carnivore won’t miss the meat! I think tofu gets a bad rap. Yes, it’s bland on its own. 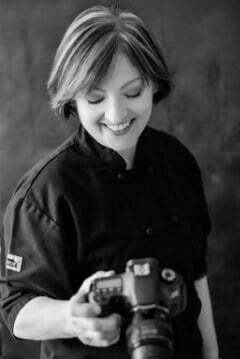 No one sits down to a meal of plain tofu and says….”Woohoo! Plain tofu!” Just like a plain baked chicken breast or plain baked piece of fish isn’t going to excite anyone either. However, the fact that tofu is so plain, makes it a blank culinary canvas. It’s also a very inexpensive protein and who can’t love that? There’s just a little bit of prep work involved with tofu as it’s packed in water and it needs to be drained and pressed. Simply slice the tofu block into “planks,” place on a thick layer of paper towels or a clean kitchen towel placed on a cutting board or large baking sheet. Place another layer of paper towels or another clean kitchen towel over the tofu then place another baking sheet on top. Place a heavy object such as a big cookbook on the baking sheet and let sit for about an hour. Here’s a great video tofu tutorial at MyRecipes.com. This tutorial shows you how to press the entire block, however as I stated above, I slice the tofu into planks first. I like to extract as much water as possible from the tofu so that it sears well. After prepping the tofu, these come together very quickly. 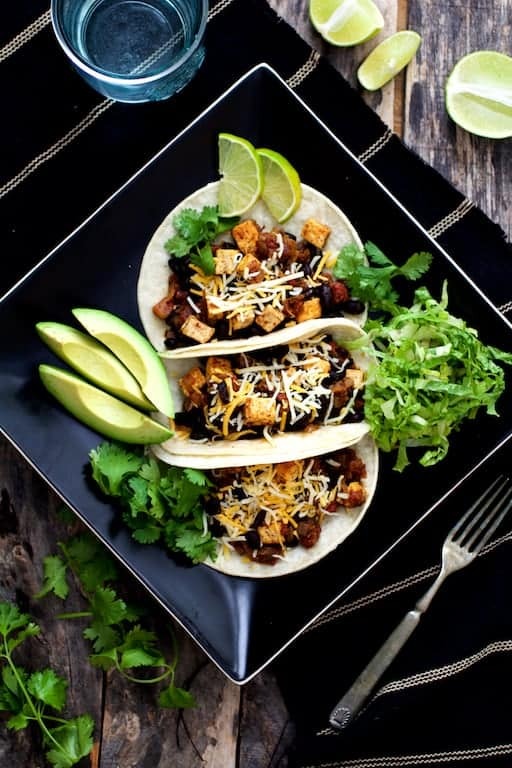 Serve with all your favorite taco “fixins.” And of course, these can be made vegan by using a plant-based “cheese.” Enjoy! More tofu recipes you’ll love! 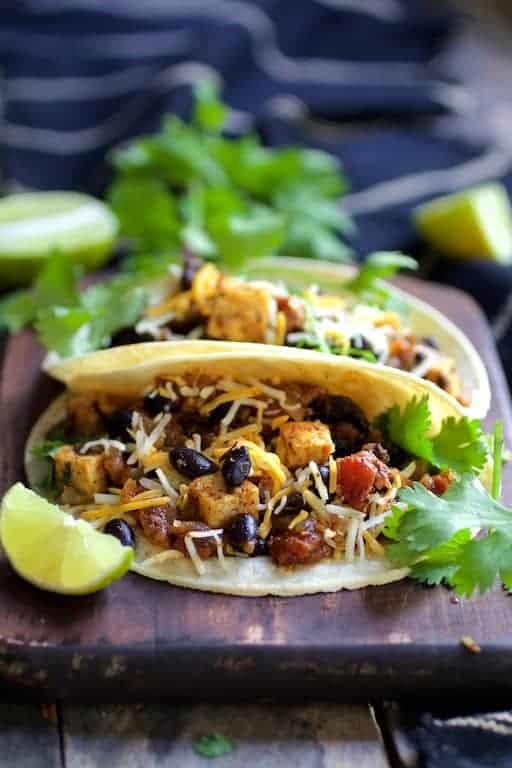 You won't miss the meat with these easy, protein-packed Tofu and Black Bean Tacos! Cut tofu into six "slabs" lengthwise. Lay tofu out on several layers of paper towels or a clean kitchen towel. Place several more layers of paper towels or another kitchen towel over the tofu. Top with a baking sheet and place something heavy such as several cookbooks on the baking sheet. Let drain 1 hour. Cut tofu into cubes. Combine chili powder, cumin, coriander, oregano, chipotle powder, salt and black pepper in a small bowl. Season tofu cubes with half of the spice combination. Heat half the canola oil in a nonstick skillet over medium-high heat. Add the tofu and sear well on all sides. Transfer to a plate or bowl. Heat remaining oil over medium-high heat. Add the onion, reduce heat to medium and cook 8-10 minutes or until soft. Add the remaining spice combination, garlic and tomatoes. Bring to a boil. Stir in black beans and tofu and heat through. Stir in cilantro. Adjust seasoning with salt and black pepper. Serve in tortillas with all your favorite taco "fixins!"